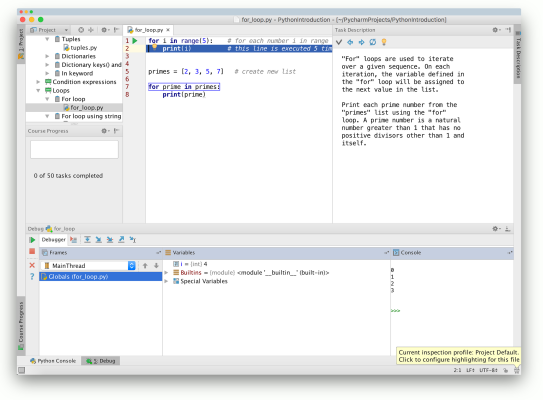 Python IDE : a software development tool. Compare Python IDEs. An integrated software developent (IDE) makes software development much better! Code with tabs, syntax highlighting, code completion and many awesome features! An IDE is a program for software development. List of popular Python IDEs. These are some of the most popular. If you are a total beginer, I recommend PyCharm or Spyder. In the next article we’ll compare features and IDEs.